1/2" X 3/8" shank, single flute indexable 60 degree dovetail cutter. 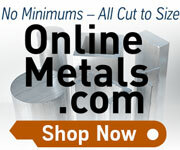 For milling roughing & finishing at high speeds & feeds. Use with TDEX 21.5 carbide inserts which are not included. Overall length is 2.36" and cutting depth is 0.32". Cutting diameter is 1/2" and the shank is 3/4". Comes with one M2.5x6.5 insert screw.